Greg (Thomas Mann) glides through High School doing everything he can not to be noticed and not to get too close to anyone. Even his best friend Earl (RJ Cyler) is just a co-worker to him. When his mother (Connie Britton) hears that her friend Denise’ (Molly Shannon) daughter Rachel (Olivia Cooke) has cancer, she forces Greg to rekindle his childhood friendship with Rachel. Both aren’t exactly happy about it, but somehow they manage to get past the initial awkwardness. 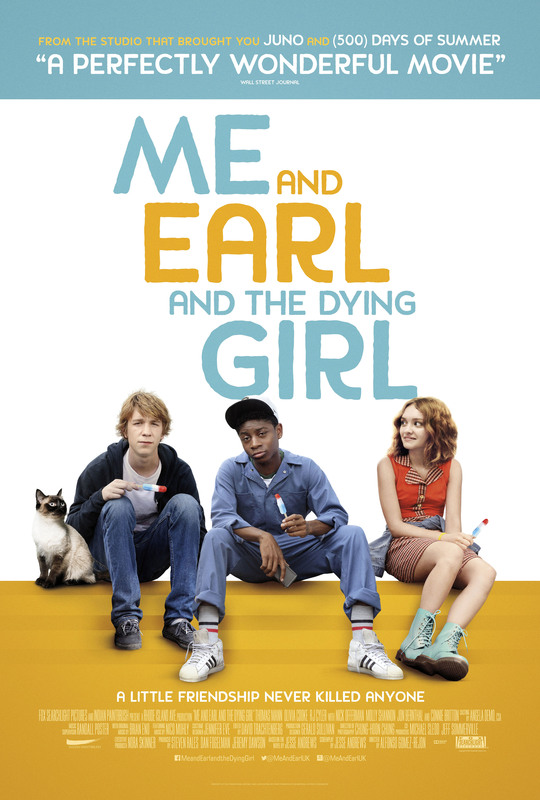 Me and Earl and the Dying Girl is a film that manages to make you laugh and cry, touching on important issues in a lighthearted and sweet way that still takes things seriously. Mike (Jesse Eisenberg) and Phoebe (Kristen Stewart) have a great life together, if you consider smoking a lot of weed, working dead-end jobs and never leaving the small town they live in a great life. At least they very much love each other. But their existence is completely destroyed when it turns out that Mike is the product of a CIA experimental program which used to be run by Victoria (Connie Britton). But Victoria was demoted, her program scapped and her new boss Adrian (Topher Grace) decided to obliterate the last remains of her program – that means killing Mike. Victoria decides to go against the plan and activates Mike, causing Adrian and his henchmen who came for him a world of trouble. 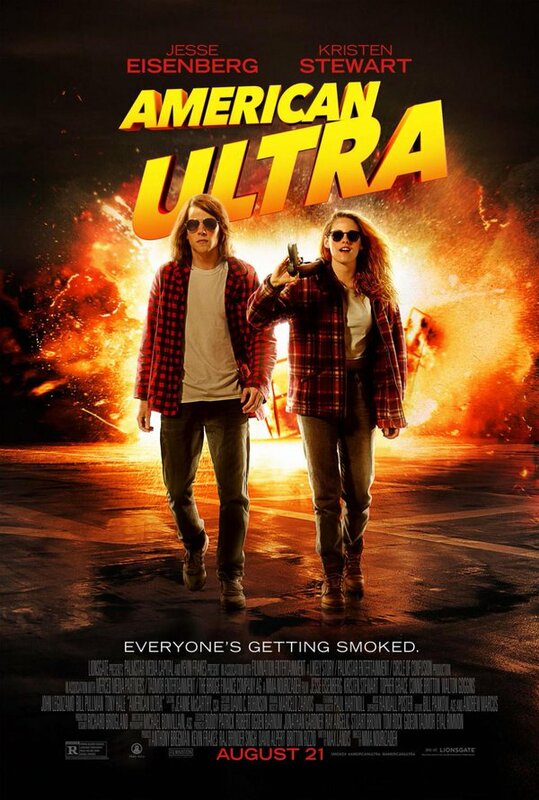 American Ultra is an entertaining film that is a little uneven but definitely fun to watch. Judd (Jason Bateman) is not in a good place in a moment. He just found out that his wife Quinn (Abigail Spencer) cheated on him with his boss Wade (Dax Shepard) and then he gets the message that his father died. So Judd returns home for the funeral where he sees his siblings Phillip, Paul and Wendy (Adam Driver, Corey Stoll, Tina Fey), and his mother Hillary (Jane Fonda) as well, of course. They don’t spend much time together and that’s for a reason. So when Hillary reveals that it was his father’s dying wish that they sit shiva together, more than just a little tension boils to the surface. 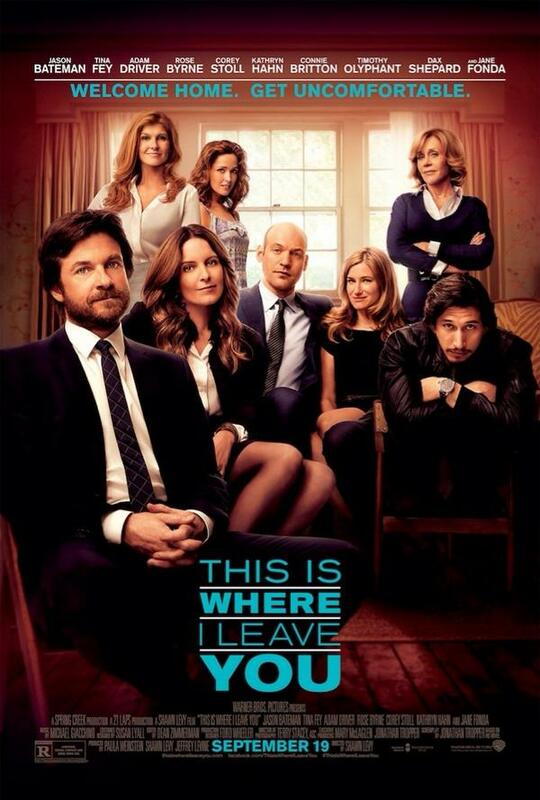 This Is Where I Leave You was mostly enjoyable but a little uneven all around. Some things were great about it, other things annoyed me a whole lot.